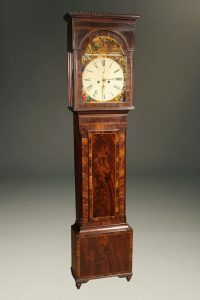 Late 18th century Dutch tall case clock signed PR Thymen, Amsterdam. 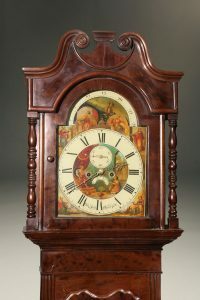 French Louis Philippe period tallcase clock in burl elm with a Morbier movement. 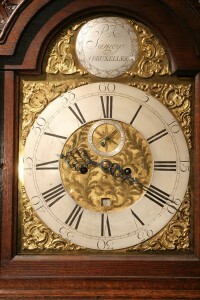 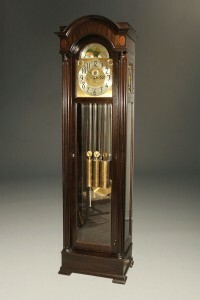 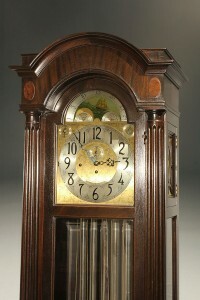 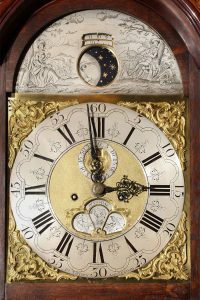 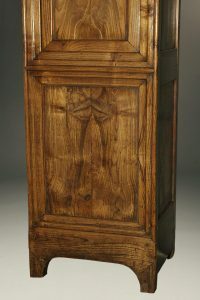 French Comtoise tall case clock with 8 day movement. 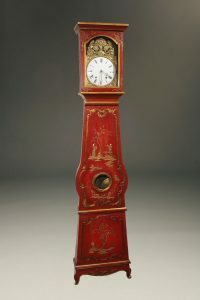 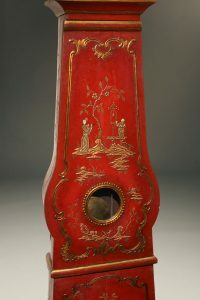 Mid 19th century French Morbier tall case clock with chinoiserie finish. 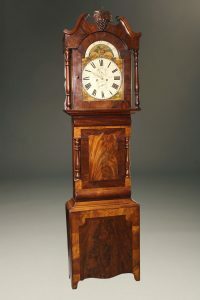 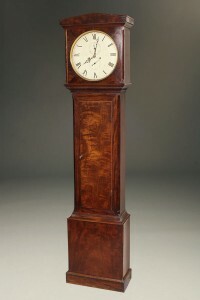 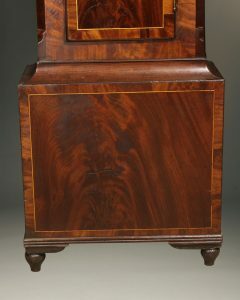 Mid 19th century English tall case clock in mahogany. 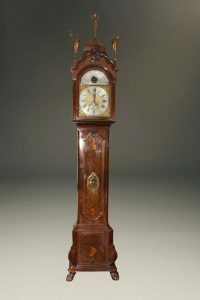 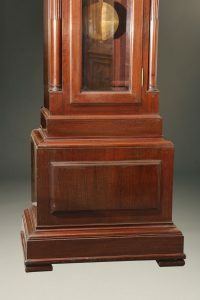 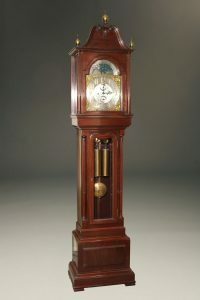 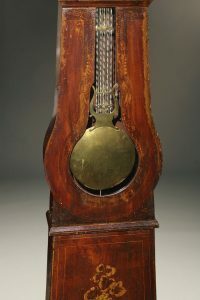 Late 19th century mahogany tall case clock. 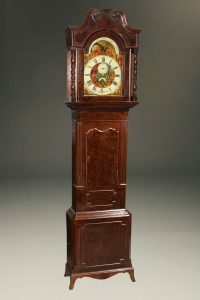 19th century English tall case clock with a beautiful mahogany case. 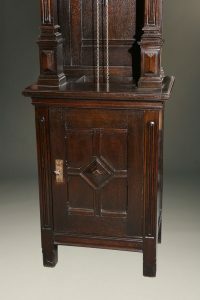 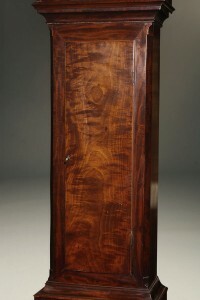 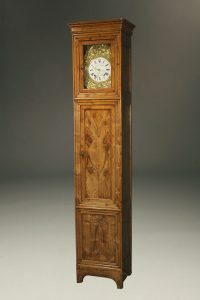 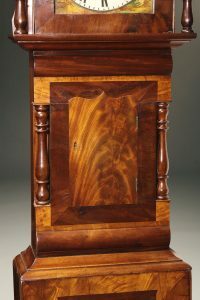 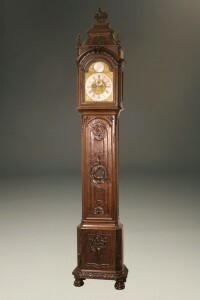 19th century English tall case clock in mahogany. 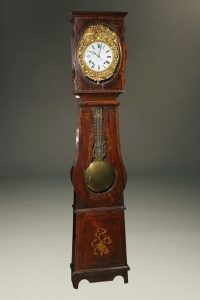 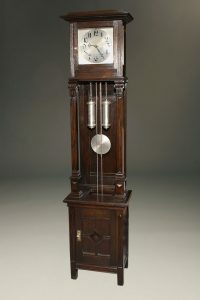 Antique mahogany tall case clock made by Colonial Clock Co.